A blended de-icing product that uses the superior de-icing characteristic of calcium chloride with sodium chloride, and potassium chloride for optimal impact on ice. The use of potassium and calcium chloride in the blend creates a reduced environmental impact and a highly effective product. Releases heat on contact to melt ice down to -31C in extreme conditions. Fast acting. Maximum melting power. Immediate ice melting power with long lasting performance. Offers the premium blend that delivers superior results. 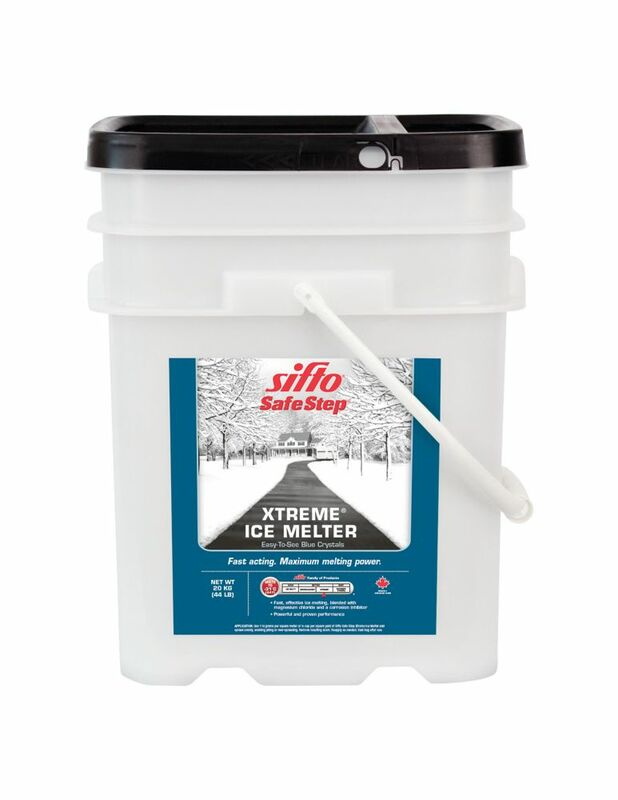 20kg Safe Step Xtreme Ice Melter Pail A blended de-icing product that uses the superior de-icing characteristic of calcium chloride with sodium chloride, and potassium chloride for optimal impact on ice. The use of potassium and calcium chloride in the blend creates a reduced environmental impact and a highly effective product.